Apparently there is this trend going around where paleoartists edit in laser beams coming out of the eyes of their dinosaurs. I don't know why. I don't know how it started. Quite honestly I'm a little annoyed Buzzfeed already made an article about it before I could join in. Here are my contributions. The first is of Changyuraptor about to ambush a smaller dromaeosaurid....with lasers. 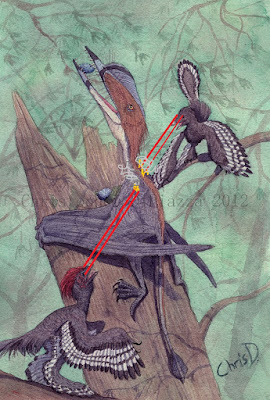 The second is of an Anchiornis pair defending their nest against a thieving Darwinopterus...with lasers. 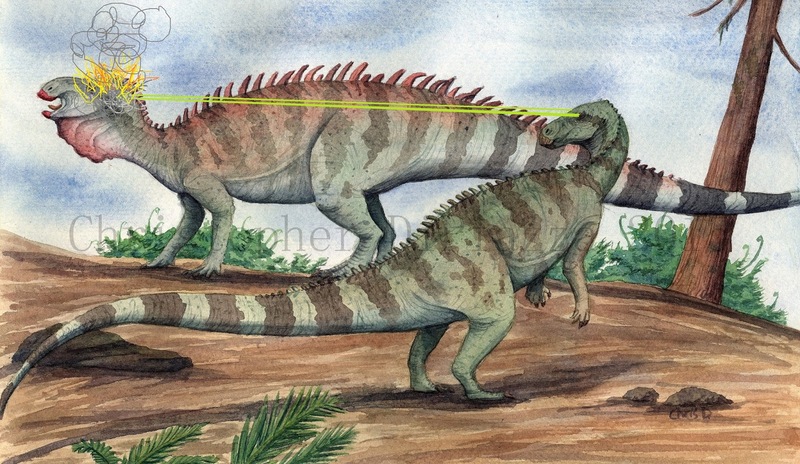 The third is a female Tenontosaurus teaching a male of her species that it is rude to catcall as she was just trying to get home from work. Serieously, guys. 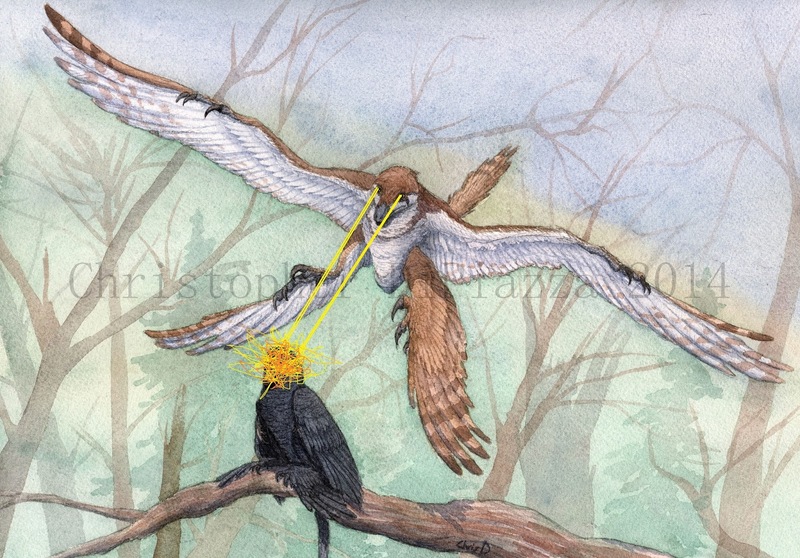 Don't catcall. It's rude and gross. Ah I knew it started with Dr. Naish but didn't see the original post.